Reach the start of your hiking destination with the Highland Hikers Passport. This ticket takes you to one of the starting points of two of Iceland's most popular highland hiking routes, the Laugavegur hiking trail and the Fimmvörðuháls hiking trail, as well as including a return transfer from the other side. 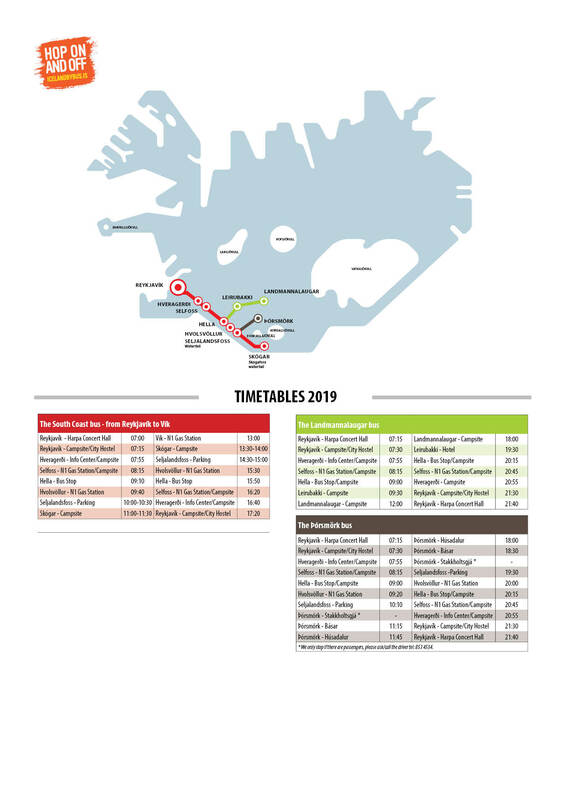 You will be able to take a bus from Reykjavík to Skógar waterfall, Landmannalaugar or Þórsmörk. These three points sit at along the Laugavegur and Fimmvörðuháls routes; the former goes from Landmannalaugar to Þórsmörk, while the latter goes from Þórsmörk to Skógar. While both of these trails are very different, they have similarities; both will expose you to awe-inspiring highland views, with rhyolite mountains, incredible glaciers, hot springs, lava fields, black-sand deserts and waterfalls. As both include Þórsmörk, you'll get to experience this stunning forested valley regardless of your direction. The beauty of this passport is that you can choose what to do; you are welcome to take either route or if you are particularly ambitious, do both. You will also have great flexibility as you can take as much time for the hike as you please, between the dates of June 20th to September 9th, when the Highlands are accessible. This ticket has particular appeal to those on a budget; visiting the Highlands is usually quite expensive, but with this option, all you need to do is buy the ticket, your food and drink, and the equipment you will need. To be on the safe side, it is wise to be updated on the weather forecast. Make sure to organise your travel plans and be prepared with the right gear for the various weather conditions. Be aware that these treks should only be taken by skilled hikers, as each route takes several days to complete. Immerse yourself in the Icelandic Highlands without breaking the bank. Check availability by choosing a date. Bus transfer to the start of the trail and back from the end of the trail. When hiking in the Icelandic Highlands, it is vital to come prepared. There are a few shops around in the wilderness, so bring food, water, warm clothes and overnight gear.